This is another of Prepaid Phone News' series of comprehensive US prepaid mobile operator profiles. The profiles cover all the major US mobile operators' prepaid plans as well as the MVNOs that offer a good value. Overview: Verizon Wireless is the largest US mobile operator with an estimated 137 million subscribers, including 5.7 million prepaid subscribers, as of Q3, 2015. Technology: Verizon uses the 850 Mhz and 1900 Mhz band for CDMA voice and 1xRTT (2.5G) and EVDO (3G). 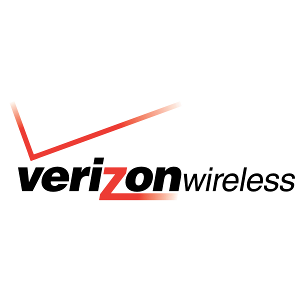 Since 7/17/2014m Verizon's LTE 4G network is available to prepaid customers. Verizon LTE mainly uses 700 MHz band 13 with supplemental coverage on 1700Mhz band 4. Verizon markets their band 4 service as XLTE. Plans: Verizon offers 30 day plans only. A hallmark of Verizon prepaid plans is strict control over which phones are allowed on each plan. Verizon's prepaid smartphone plans include unlimited voice, messaging and data with varying amounts of high speed data depending on plan price Unused high speed data rolls over to the next month, unused carry over data expires after 30 days. Additional high speed data can be added using "Bridge" data packages which are available in three sizes: 500 MB good for 30 days for $5, 1GB good for 90 days for $10 and 3GB good for 90 days $20. Verizon sells a range of Android phones as well as iPhone models for these plans. You can also use any Verizon Smartphone. Classic BlackBerrys work for talk and text only as Verizon no longer offers prepaid customers access to the BlackBerry Internet Service (BIS), which is required by BlackBerry Messenger (BBM), BlackBerry Email and some apps. 1 Unused high speed data "Carryover Data" rolls over to the next plan month. Carryover data expires after 30 days. Hotspot allowed. Additional high speed data available; 500 MB/30 days for $5, 1 GB/90 days for $10, 3 GB /90 days for $20. 2 All video streaming throttled to deliver 480p quality. Prepaid data prioritized below postpaid data when network is congested. 3 Hotspot allowed but throttled to 600 kbps. 4 Phones and SIMs purchased at Walmart and activated in a new line of service receive 2 GB of bonus high speed data. Bonus data does not roll over. 5 Data speeds throttled to 128 Kbps after the high speed (HS) data allotment is used up. Family Plans: Verizon Prepaid offers a multi-line discount for to smartphone plan customers with more than one lines: The second through fifth lines on the $40 plan each get a $10 discount, The discount is $15 per line of the $50 plan and $20 per line on the $60 and $80 plans. Verizon also has two plans for basic feature phones. These plans are limited to feature phones sold by Verizon specifically for use on prepaid and with some basic post paid feature phones. Smartphones and advanced feature phones that Verizon labels as "3G Multimedia Phones" or that have "full HTML" browsers are not allowed on the basic phone plans. To Verizon a "full HTML" browser seems to be any browser, except Opera Mini, that allows you to scroll horizontally as well as vertically! It's probably safest to stick to the handful of feature phones that Verizon sells specifically for prepaid. 1 Mobile web is 2G and 3G only and only works with the browsers pre-installed on Verizon feature phones. According to Verizon, "Mobile Web does not provide full web browsing"
3 Unadvertised plan. Must call customer support to activate. Verizon's Pay As You Go and Daily plans were discontinued November 15, 2015 and are no longer available for new activations. Users who activated on these plans before 11/15/15 are grandfathered and can keep them indefinitely as long as they don't change plans or allow the plans to lapse due to non-payment. 1 Minimum monthly cost is with a $30 top up every 90 days. 3 Unlimited data is available for 99¢/per day. The 99¢ charge is imposed only on days data is used and is valid for 24 hours from first use. 4 The daily fee on these plans is charged only on days you make or receive calls (incoming and outgoing texts do not trigger the daily charge) and is valid until 11:59 p.m. Checking voice mail from the prepaid phone will trigger the charge. Data only plans: Verizon branded tablets and hotspots require special data plans and will not work on prepaid phone plans. Available packages are $15/week 500 MB, $20/month 1 GB, $35/2 months for 2 GB, $60/2 months for 5 GB and $100/2 months for 10 GB. International Calling: The $60 and $80 plans include unlimited calls to Canada and Mexico. Unlimited Together - North America: provides unlimited calling to Mexico and Canada and discounted rates to over 230 other countries. Unlimited Together - World: provides unlimited calling to 40 counties and discounted rates to over 230 other countries. You can check if a country is covered by either add-on on this page. International Rates: Verizon's pay per use international rates (rates below) are expensive. I recommend that you use a calling card or international call-back service for international calls. On PAYGO and the $1 daily plan these rates are in addition to the basic per minute rate of 25 or 2 cents/minute. International Messaging: There is no extra charge for text or picture messaging to Canada, Mexico and Puerto Rico. To other countries texts are 25¢/each to send. Texts: 50¢ to send and 5¢ to receive. Taxes and Fees: Verizon adds applicable state and local sales taxes and point of sale e911 fees to auto payments and online airtime payments. Taxes and fees can be avoided by buying refill PINs from callingmart.com and other online retailers. Coverage: Verizon's native coverage is second to none. Roaming at 20¢ extra per minute is available almost everywhere in the US where there is any cell phone service. Devices: Verizon offers feature phones as well as iPhones, Android, Window Phones. All Verizon branded phones are allowed on the prepaid Smartphone Plans. BYOP: In addition to Verizon phones, Verizon accepts "universal unlocked phones" like the factory unlocked iPhone 6 and later, factory unlocked Samsung Galaxy S7 and later, Alcatel Idol 5s, Nexus 5X, 6 and 6P, Goggle Pixels, Orbic Wonder, Motorola Z2 Play, Moto E4, G4, G5 series and the 3rd generation Motorola Moto G Pure Edition. A Verizon SIM is required when activating LTE phones. Verizon SIM are reusable, inactive SIMs can be reactivated. SIMs are available on the Verizon site, Verizon stores or by calling customer care at 1-800-922-0204 (press 0 four times for a live operator). How to Buy: Verizon prepaid phones are available from Verizon stores, "big box" retailers like Target, Best Buy and Costco and online. Basic models can be purchased supermarkets, convenience stores and chain drugstores. How to Activate: Start by activating online at http://www.verizonwireless.com/activate or by calling (800) 294-6804 from another phone. Non-LTE phones require an extra step after activating online or by calling. Turn the phone off and on. If the phone displays "Press SEND to activate", press the SEND or call button. If the phone doesn't display "Press SEND to activate" complete activation by dialing *22898 SEND. Payment Options: Verizon offers may ways to add funds to your prepaid account. PIN cards or codes in the denominations shown at the right are available at Verizon stores, most convenience stores, supermarkets, chain drugstores and big box retailers like Target. PINs can be purchased at a discount from callingmart.com and other online retailers. You can top up by sending a text containing your refill PIN to VZPAY (89729) or online at verizonwireless.com/myprepay or by calling *611 from your mobile phone or (888) 294-6804 from another phone. Automatic payments using a credit or debit card can be set up at verizonwireless.com/myprepay or by calling *611 from your mobile phone or (888) 294-6804 from another phone. You can make a one time payment with a credit or debit card at www.verizonwireless.com/refill or by calling *611 on the phone or (800) 294-6804 from another phone. Taxes and Fees: Verizon adds applicable state and local sales taxes and point of sale e911 fees to auto payments and online airtime payments. Taxes and fees can be avoided by using refill PINs from callingmart.com and other online retailers. Account Management: You can check your balance and expiration date and view detailed call records at My Verizon. You can also check your balance and expiration date by calling *611 from your wireless phone, or (888) 294-6804 from any phone. To forward all calls to another number: Press *72 followed by the number you want calls forwarded to (*72-123-456-7890), press Send and wait for a confirmation tone or message. You will be charged for forwarded calls. To cancel call forwarding: Press *73 SEND and wait for a confirmation tone or message. To forward unanswered calls only (conditional call forwarding): Press *71 followed by the number you want calls forwarded to (*71-123-456-7890), press Send and wait for a confirmation tone or message. You will be charged for forwarded calls. To cancel conditional call forwarding: Press *73 SEND and wait for a confirmation tone or message. To cancel Call Waiting before placing a call: press *70 + the 10 digit number you are calling, then press "SEND." 3-Way Calling: Lets you create a conference call between yourself and two other people. You will be charged for both calls. All are free to use. Phone support: Call *611 or (888) 294-6804 for 24/7 customer telephone support. To reach a live operator press 1 for English, then 4, 6 and 4. To order an LTE SIM card call (800) 922-0204 and press 0 four times for a live operator. Chat support: Use the online chat form. Verizon Pros: Outstanding coverage, LTE, 24/7 telephone support. Detailed online call records. Call forwarding, call waiting, conditional call forwarding and 3-way calling are supported. Verizon Cons: No pay as you go plans. High per use international calling rates. Do you happen to know how long I have to top up before I lose my number? 30 days after your airtime expires. Thanks! Nowhere in the Verizon details could I find that info. I have to pay $15 per month but if I can go another 30 days, that will cut it in half. I only use the phone when I'm in the motorhome & away from T-mobile signals. I currently have a phone number from H2O Wireless. Unfortunately, this was a recycled phone number and I sometimes get calls for that person. I want to change it, but not from H2O because they do not have a list to select from, and the number is randomly generated. I have a question: Does Verizon prepaid allow for selecting a number from a list? Also, what is the minimum I would have to pay after buying a phone to be able to transfer the number? I want to select a number from a list, because if I see many similar numbers on the list, I would think that those numbers are not recycled and are indeed new unused numbers. Also, does At&t gophone allow to select a number from a list? And what is the minimum topup need to transfer the number? what about pageplus? I have a CDMA very old smartphone that i might be able to put on pageplus to get a number, but's its a sprint phone. I don't know if Verizon, AT&T or any other operator will let you choose a number from a list. But almost all operators will change you number for free if you tell them you are getting too many unwanted calls. Try asking H2O. I believe you would need to add the minimum top-up of $15 to get a working number on either AT&T and Verizon is $15. also do you know if some prefixes are recycled more than others? and what is the chance of getting an easy to remember number in the 650 area code? I believe almost all phone numbers are recycled. It usually isn't a problem unless you get one that belonged to a deadbeat who gets multiple calls daily from bill collectors. If that happens most operators will give you a different number for the asking. A brand new area code would probably have mostly non-recycled numbers. An area code that includes mostly wealthy residents might have fewer deadbeats. also should i consider talkforgood or att mvnos to choose my number? yeswap, why does verizon prepaid now have an activation fee? how does verizon unlimited compare to pageplus unlimited and att gophone unlimited? aren't att mvnos cheaper because they don't have activation fee and their rates are lower too? It's $100 for 1 year (or 365 days) of service, not $150 as you've listed in the table. The table is correct. Both the $100 and the $150 refills are good for one year. Correct, I've added the $100 refill to the table. I believe Verizon still offers an unlimited talk/text/1 gb data for smart phone plan through Walmart. They sure do. Thanks for remainding me, I've added information about it to the post. Looks like Verizon prepaid doubled the data on the $45 plan. Now 1.0 GB. Auto pay will get you 1.5 GB. With free tethering and 90 day bridge data still available. How much is it per forwarded call on prepaid accounts and do you only get charged if the call is answered? If your are on an unlimited plan there's no charge for forwarding calls. On the pay as you go and 99¢/day pans forwarded calls cost the same as 10¢ or 20¢ per minute as any other call. There's no charge for unanswered forward calls. Verizon is again offering an additional 1GB of data every month on their ALLSET Prepaid Plans for signing up for Auto Pay. Additional 1GB applied on 30 days of activation of Auto-Pay. Verizon Wireless Prepaid Offer @ BestBuy - Get a $45 Bonus Credit when you buy AND activate a select smartphone with a $45 top-up card. New activations ONLY. Verizon will provide the credit to the number 2-3 days after activation and monthly payment. VZW Prepaid now offers a $30/month smartphone plan with unlimited voice and SMS, but no cellular data. You cannot add a data package to this plan, according to the footnotes on the prepaid plan page. I've added the missing $30 Smartphone plan. It's been available since March, but was inadvertently left out. Thanks for letting me know. From what I've seen on the internet the Walmart double data promo ($45 2 GB, 3 GB with autopay) has expired January 17, 2016. You had to purchase Walmart's Verizon sim pack with a plan by January 17th and have it activated by a month later. Does anyone know if this program is going to continue or if there is a replacement program. I chatted with Verizon rep today after reading about their new plan ($45 2 GB, 3 GB with autopay) . I asked if existing customer would automatically get the additional data. They told me no and this promotion was for new customer activations. I asked if I switched to AT&T GoPhone for their $45 plan with 2 GB (includes one month rollover) and "if" I decided to come back as new customer would I get the promotion? They came back and said as an "exception" they will fill out the form and have plan switched to new one. They said it would occur in 3 business days. I will wait and see if they switch my plan within the next week. If not I will be moving to AT&T GoPhone at end of my billing cycle. Nice to have Moto X Pure 2015 and not be tied to CDMA or GSM carrier only. Phone manufacturers should make more of these unlocked phones with all the radios for us to have freedom to jump to another carrier when unhappy. Verizon does not care about Prepaid - "Tracfone is our prepaid brand. ...Our retail prepaid is above market. We're really not competitive in that environment for a whole host of reasons and it's because we have to make sure that we don't migrate our high-quality postpaid base over to a prepaid product." Is it still possible to activate a Verizon Prepaid account without buying any airtime just to get a number to port out? Verizon Prepaid $30/Monthly Smartphone Plan does not seem to be available anymore. Not showing up as an option. The $15 basic phone plan is gone, too. Verizon just announced that it will zero-rate FIOS TV over their app for postpaid smartphone customers. Another good way to discourage anybody from using their prepaid service. this profile seems out of date. where's the typical $45 plan? What's about it is out of date? Verizon doesn't currently have a $45 prepaid plan.